One of a kind tract in the area. 13+- Acres with unlimited potential. Apx 335' of frontage on Hwy 9 and Apx 570' of frontage on 57. Perfect for retail, big box, restaurant, medical, hotel, car dealership, convenience, etc.! Great opportunity. Great development site just off Highway 31 and Highway 9. 17 plus acres zoned Highway Commercial. 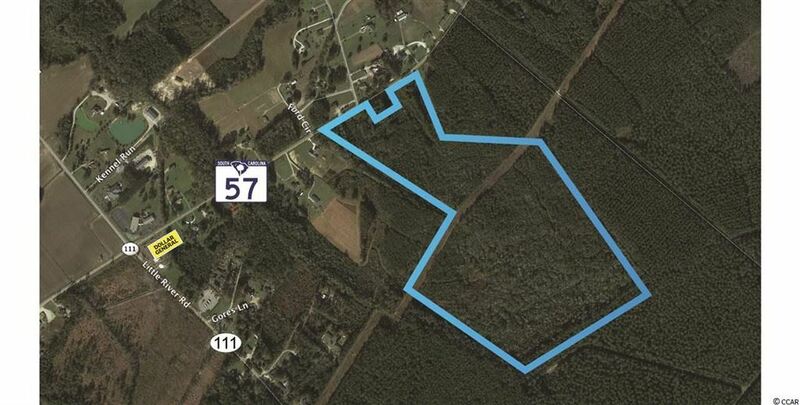 44.67 Acres zoned CFA. Water and sewer are available to site through Little River Water & Sewer. Highway 9 is a very desirable, fast growing corridor. Easy access and incredible visibility. Close to McLeod Seacoast Medical. Development tract....first time offering on this 62.5-63 acres of PRIME development land with commercial and/or residential uses. Property is located at the intersection of Hwy 57 and Hwy 111. There has been a stoplight approved for this location adding to the desirability of this tract. Property is mostly cleared and ready for development. Water, sewer, and electric are all around the property on Hwy 57 and on Hwy 111. This parcel would make an ideal spot for a new home community, a commercial center, or a mixture of both. Current zoning is CFA. 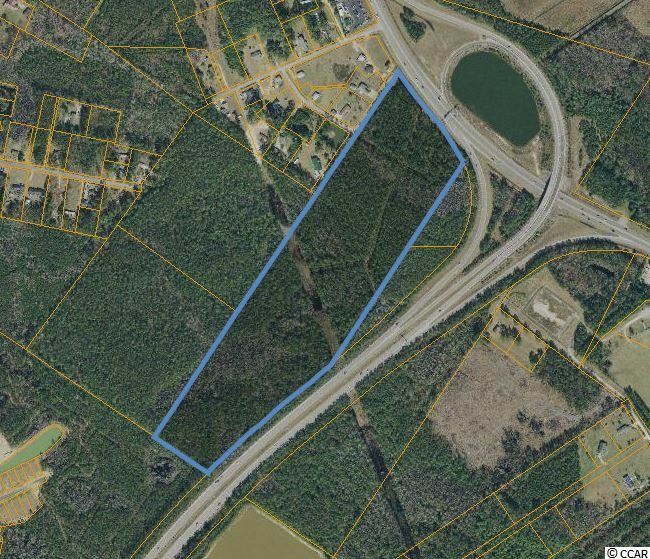 22 ACRES OF PRIME COMMERCIAL REAL ESTATE adjacent to North Strand Nissan and across the street from Bell & Bell GMC on Highway 9 in Little River, SC. Property is ideal for automotive dealership, auto-related business, rv/boat dealership, car wash, mini storage, medical facility, assisted-living, apartment/multi-family housing, or other commercial uses. Property is an assemblage of eight (8) parcels with over 800 linear feat of road frontage. Owner willing to subdivide. 2017 SCDOT Average Daily Traffic Counts approximately 25,000. Public utilities are available on the site. 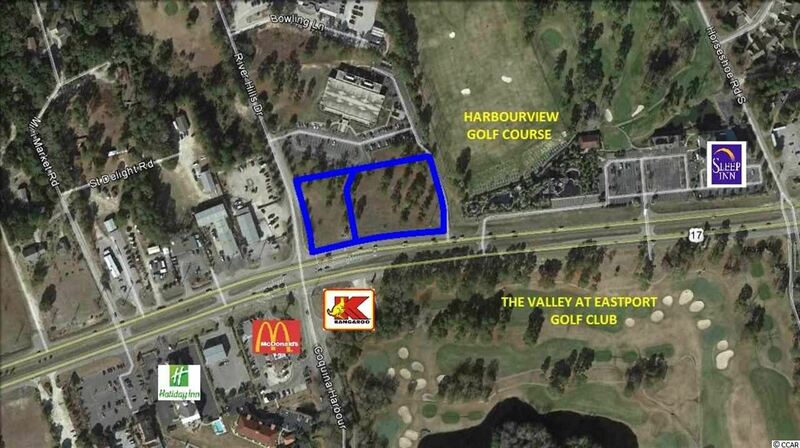 Property is currently zoned HC, CFA, & RE3 (Horry County). Topography is flat with rear portion wooded. U.S. Army Corps of Engineers determined that no wetlands were located on the Property. SCDOT full movement access to Highway 9 with additional ingress/egress provided from two county roads. Two (2) existing buildings, approximately 4000 sq ft, provide income through active lease agreement. Additional income provided from billboard lease. Property is located in close proximately to Mcleod Seacoast Hospital & Medical Facilities (1.7 Miles) as well as city of North Myrtle Beach (3 Miles). Easy access to Highway 9, Highway 57, Highway 31 & Highway 17. Subject property is a 16 acre tract located at the signalized intersection of Highway 17 and Graystone Boulevard/Highway 179 in Little River. 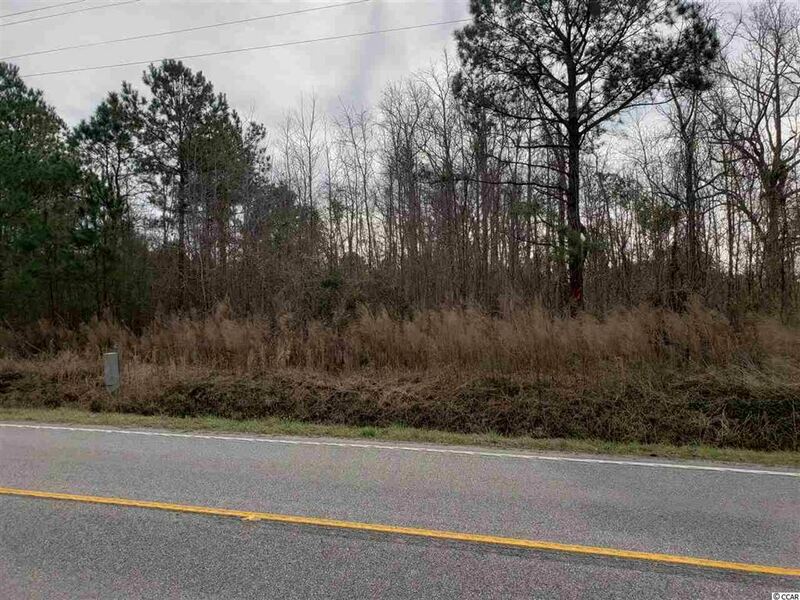 This property is split-zoned Highway Commercial(HC) and Commercial Forest Agriculture(CFA) by Horry County, and offers approximately 510GÇÖ frontage on Highway 17. Subject property backs up to and offers approximately 525GÇÖ frontage on Heather Glen Golf Course. Highway 17 offers a traffic count of 19,000 vehicles per day. Highway 179 serves as the main traffic artery feeding the immediately-neighboring towns of Calabash and Carolina Shores. The immediately adjacent 400 acre property is being planned and developed by DRHorton as a 1000 plus unit subdivision. 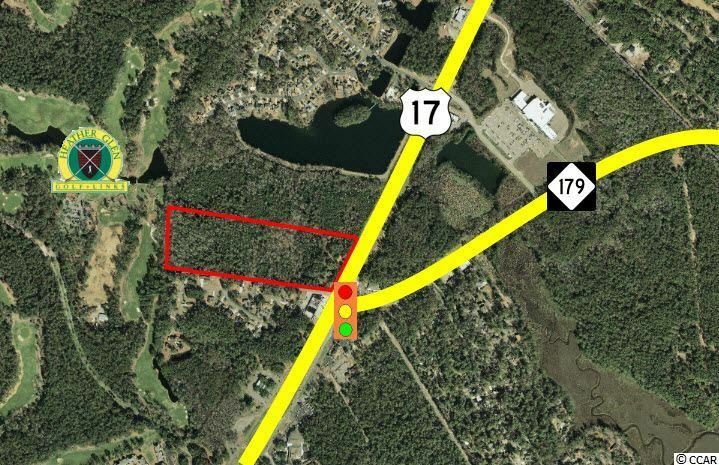 4.97 ACRES OF PRIME PROPERTY LOCATE DIRECTLY ON HIGHWAY 17 IN LITTLE RIVER. VERY HIGH TRAFFIC COUNT. ZONED HC FOR MANY USES. CLEARED AND READY FOR CONSTRUCTION. PRIVATE, UNIMPROVED DRIVEWAY ONTO THE PROPERTY. Address: TBD River Hills Dr.
Subject property is a 2.25 acre corner comprised of 2 parcels at the signalized intersection of Highway 17 and River Hills Drive. These parcels offer 400GÇÖ+/- frontage on Highway 17 with existing ingress points on River Hills Drive and at the River Hills Medical Plaza. 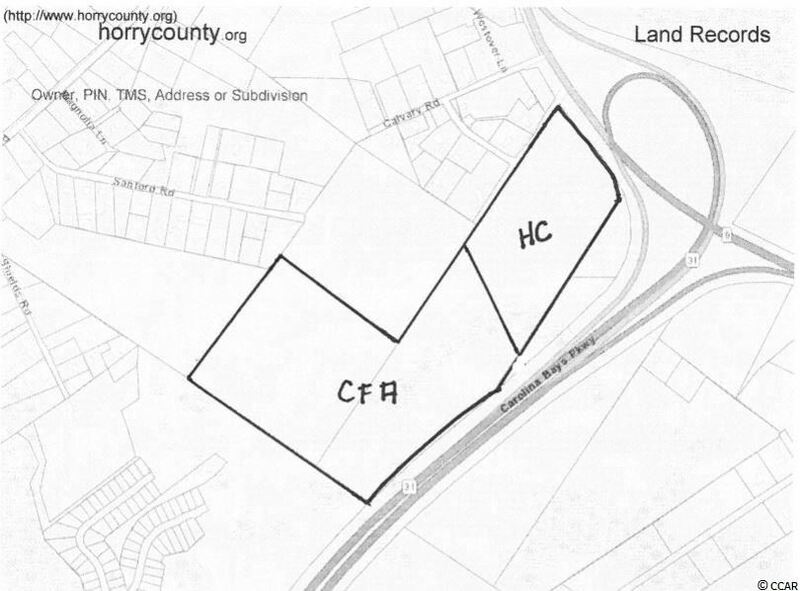 Zoned HC by Horry County. Highway 17 is the main traffic artery in Little River with 42,000 vehicles per day. 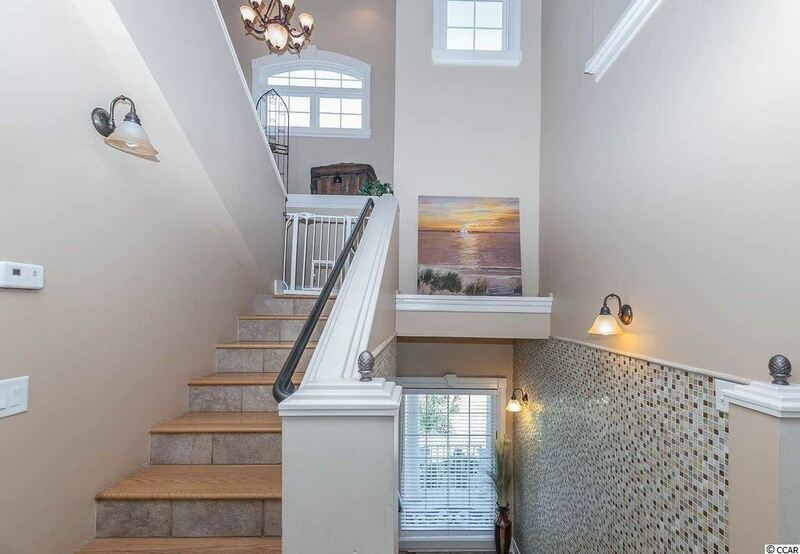 Address: 147 Pier Point Dr.
Beautiful 4-story home, with elevator to all levels, directly on the waterway in Olde Harbor community, gorgeous views throughout the house. Dock with boat lift along with a floating dock. There is also an adjacent pubic boat launch and day docks. Garage area has a full bath, kitchen area for all those cookouts and entertaining, lots of extra storage for all your play toys. Entering the front entrance is a huge family room just off the large kitchen with Corian counter tops, Jenn Air stove and lots of cabinet space. Family room/dining area has built-in shelves, fireplace which makes for a comfortable evening of dining on those cold evening, even a sitting area and wrap around deck. Continuing through this area is a Carolina Room with beautiful views overlooking the waterway, with deck to enjoy your morning coffee or evening cocktail. There is 1 bedroom with full bath on the main living area. Continuing to the 3nd level there are 3 more guest bedrooms, full bath in each. 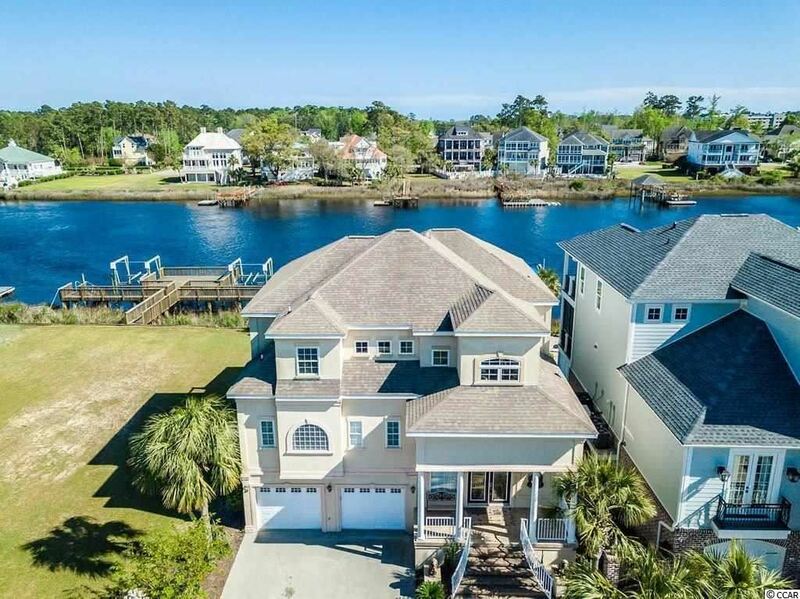 Spectacular master bedroom suite (approximately 30 x 24), huge master bath with Jacuzzi tub, shower, walk-in closet, laundry area, even another fireplace to enjoy on cozy evenings, also with deck overlooking the waterway. Upstairs on the 4th level is huge suite which could be a mother-in-law suite, with separate bedroom and full bath, sitting area, walk-in closet, also another deck overlooking waterway with beautiful views. There are ceiling fans throughout, crown molding, tile and carpeting, so many extras too many to mention. Owner has also been making miscellaneous updates to interior. This home has all the quality for your discriminating buyers, minutes to beach, easy access to all major highways, minutes to all entertainment and activities this area has to offer. Must see to appreciate this beautiful home - call now for an appointment. Price recently reduced. This majestic home will take your breath away! With expansive windows the waterway views from both floors are a sight to behold. The kitchen is wonderfully appointed with stainless steel Thermador appliances and beautiful granite. This home features an open floor plan with two fireplaces , an elevator and two master suites. The porches provide an amazing view of your pool and boat dock with a lift. There is a shower at the pool with hot and cold water. The home has 5 bedrooms and 4 bathrooms and is equipped with two tank less water heaters for your comfort. 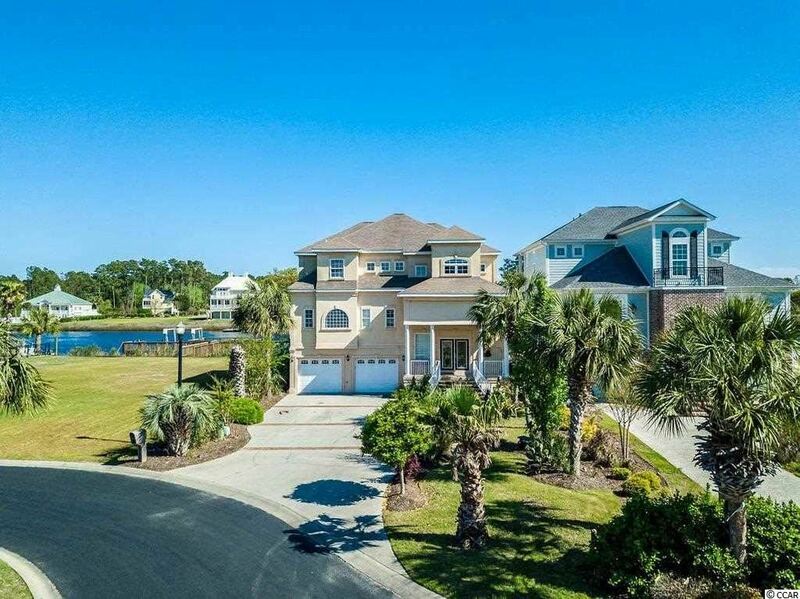 You are minutes from the ocean and close to all the North Myrtle Beach attractions while being tucked away in this gated island community. Prime location to build a national chain store. 1.66 Acres of land with an office building and a house on the lot. Property has 3 older residential units that are all leased on a month to month basis. DO NOT DISTURB TENANTS. Located on signalize corner as you enter into Cypress Bay Golf & Tennis subdivision. 317 feet of highway frontage on HWY 17. Highly visible from either direction. Average Daily Traffic Count: 39,200 ( Source: SCDOT) Neighboring businesses include CVS, Mulligan, Sweet Bakery, Crescom Bank, South State Bank, Little River Chamber of Commerce. 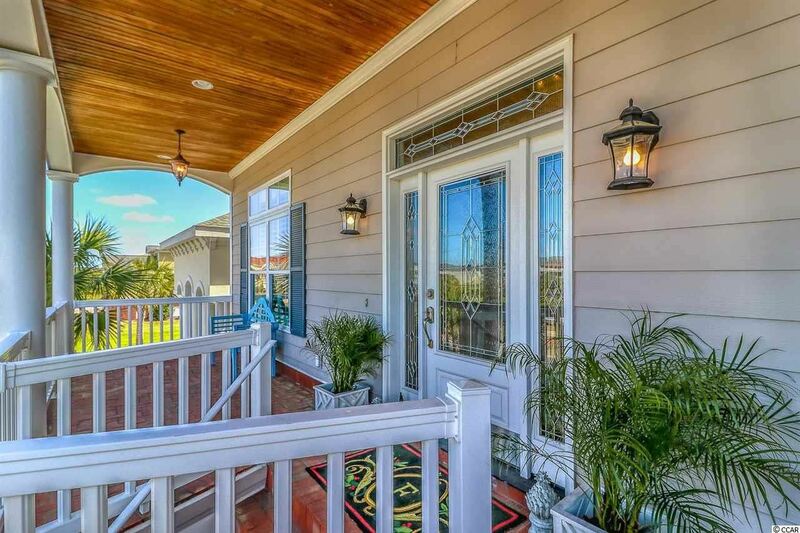 This immaculate Intracoastal Waterway home is a must see! Located in the wonderful gated community of Paradise Island ! 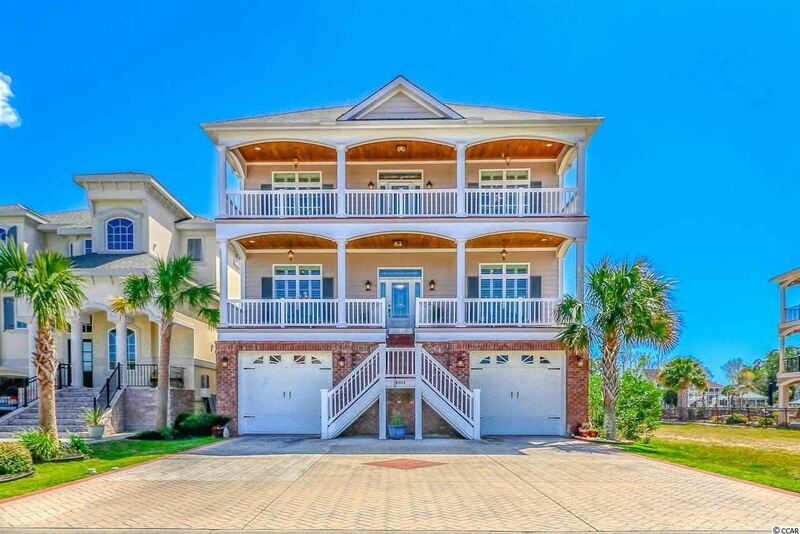 Luxurious living on an island located within 1.5 miles of Cherry Grove Beach and just south of the Swing Bridge! Watch the yachts go by from your porch, and enjoy the beautiful Sunrises and Sunsets over the waterway. Garage space under this home offers plenty of room for cars, golf cart, jet skis, workshop area, and storage. Full bath and elevator in the garage. Living area offers spectacular architectural details with plenty of room for everyone! 8 ft high French Doors provide amazing waterway views from inside as well as a huge porch across the rear of the home! Chef's kitchen with Thermador gas range and griddle , double Thermador Ovens, and Sub Zero Refrigerator ! Hickory Cabinetry with granite countertops and a large island for entertaining guests in the kitchen as well. Master bedroom on the main level offers waterway views with sliding doors to the rear porch... Master bath with custom tile jetted shower, and large whirlpool tub. Private water closet, Granite countertops, double vanity and huge walk in closet with custom cabinets. Upstairs is just as amazing as the downstairs with 2 guest bedrooms, full bath, media or quiet reading loft. TV and surround sound electronics convey with home. Washer/ Dryer also conveys. Retirement Dream Home awaits you on Paradise Island! 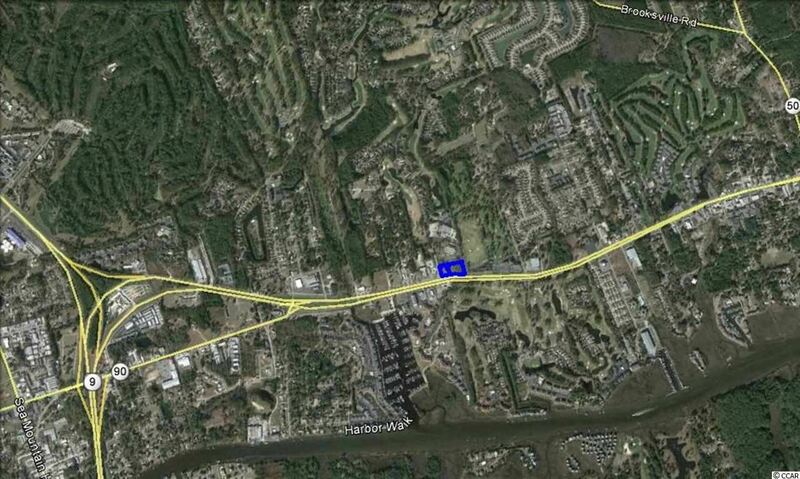 Approximately 79 Acres for sale on Highway 57 North in Little River, SC. 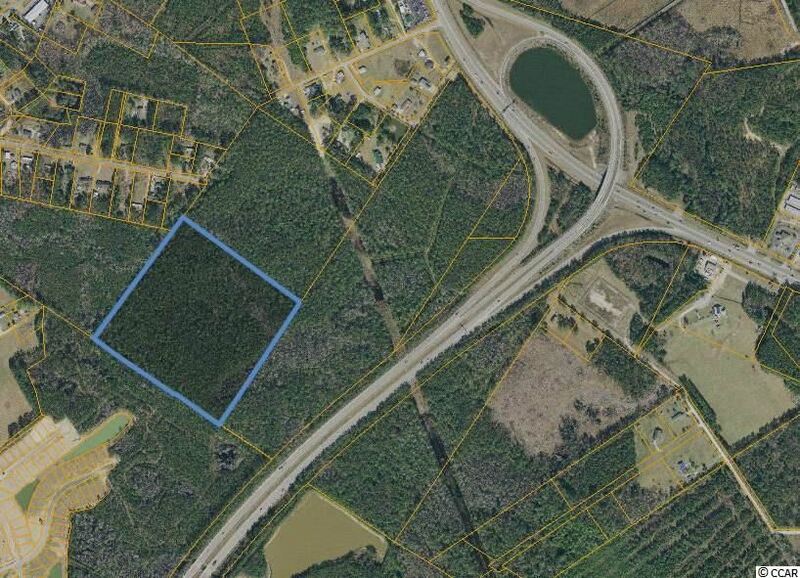 Tract is currently zoned Commercial Forest Agricultural (CFA) allowing for numerous commercial and residential uses. 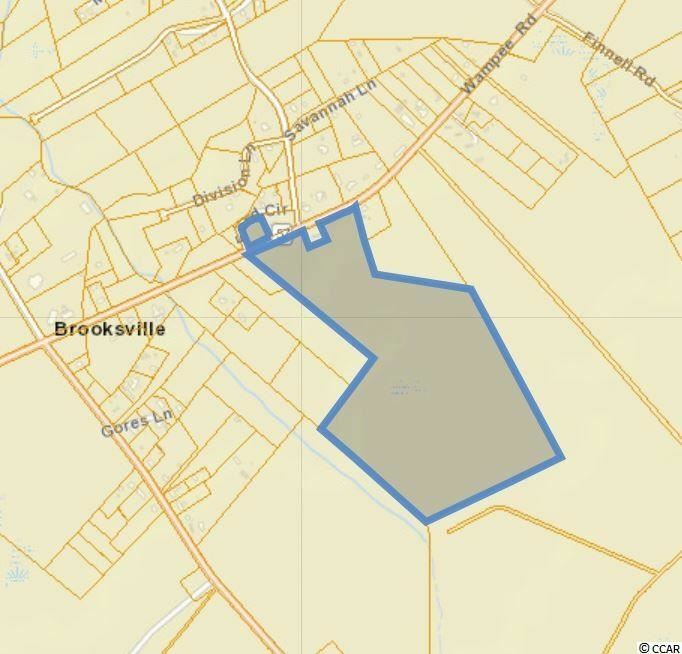 Property is located within close proximity of the future Highway 31 Extension (connecting into Brunswick County, NC) with easy access to Highway 9, Highway 31, and Highway 17. There are multiple residential development projects within 2-3 miles of this location. Water and sewer are available along Highway 57 with approximately 870 linear feet of road frontage. Your slice of the waterway awaits!! 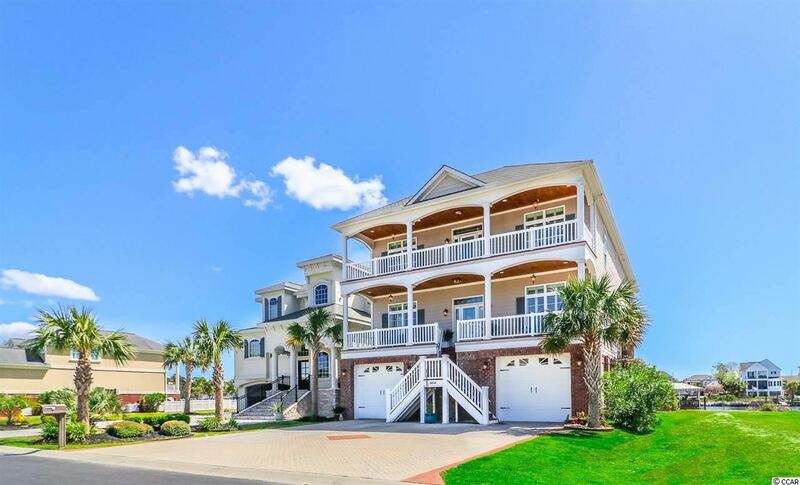 This magnificent raised beach house is situated directly on the Intracoastal Waterway on a half-acre lot that boasts a private boat lift, covered dock & floating dock. And no HOA!! A beautiful brick staircase welcomes you into the foyer with marble flooring, soaring ceilings and dentil crown molding while picture frame wainscoting and tray ceilings are on display in the adjoining rooms. The chefGÇÖs kitchen features a 6-burner Jenn-Air gas cooktop and opens up to the great room with gas fireplace. The sunken sunroom and sprawling master suite offer breathtaking views of the ICW as do two more bedrooms upstairs. Park your SUVs, golf carts, motorcycles and other toys underneath the house, and then ride the elevator to the main floor. The expansive back yard comes equipped with a steel bulkhead and boardwalk on two sides, an irrigation system, and thereGÇÖs plenty of room for a pool. Call your agent and schedule a showing today!! Welcome to your waterway Paradise! Located in the exclusive neighborhood of Paradise Island. Enjoy the most picturesque views of the intracoastal from your balcony, dock and boat lift. This Gorgeous 4bed/4.5bath home offers a heated salt water pool, hot tub and custom outdoor kitchen. Inside you will find a gourmet kitchen with double ovens, stainless steel appliances and granite counter tops. For a bit of privacy, enjoy your large, main floor master suite with double vanities, large walk in closet and soak in your whirlpool tub. The large den/media room area is perfect for entertaining family and guests, as well as the ground floor recreational area equipped with a living, kitchen, full bath and fitness facility. Pool table does convey and the plantation shutters and remote control blinds are another added bonus! Two car garage and workshop located on ground floor. This community is convenient to beach, dinning, shopping, schools, hospitals and more. But feel free to commute by boat! You don't want to miss out on this truly spectacular home! Measurements are approximate and not guaranteed. Buyer responsible for verification. Welcome Home...Mediterranean-Style 4-BR, 3.5 BA home in the spectacular Gated community of Paradise Island Directly on the Intracoastal Waterway with Pool. So many added finishes and touches...Kitchen has Maple Cabinetry, Granite Countertops, Tiled Backsplash, Stainless-Steel Appliances and Large Walk-In Pantry. Beautiful Hardwood Floors throughout main Living Area, 2 Living Rooms and Elevator. Crown Molding, Solid-Wood Entry Door. Tiled Walk-In Showers. 2 Balconies on the Back of the Home overlooking your pool & Intracoastal Waterway. Truly a Must See! Priced to sell!! !